When it comes to urgent care, Raleigh, NC residents have options. Many people are tempted to head to the emergency room when they have an urgent medical need. But, most non-life-threatening illnesses and injuries can be treated at an urgent care for a fraction of the cost. Our mission is to serve our communities and patients with the highest quality of care. That means care that is affordable, personal, and convenient. There is a reason we put the word “fast” in our name – it is because we strive to get our patients in and out of our clinics within an hour so that you can get back home and feeling better as quickly as possible. Each of our urgent care clinics is equipped with on-site labs and x-rays, so you don’t have to spend your time traveling to get tests done. When selecting the best provider for urgent care, Raleigh residents who don’t want to wait behind true emergencies in the ER can head over to FastMed and be seen quickly by top professionals whose main goal is to diagnose their problem and provide the best treatment in an efficient manner. 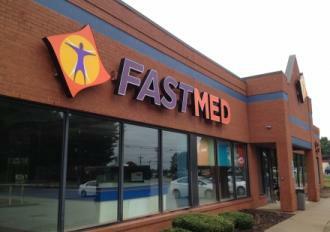 From bronchitis to urinary tract infections to sprains and strains, you’ll find the medical care you need when you walk into FastMed Urgent Care Raleigh.